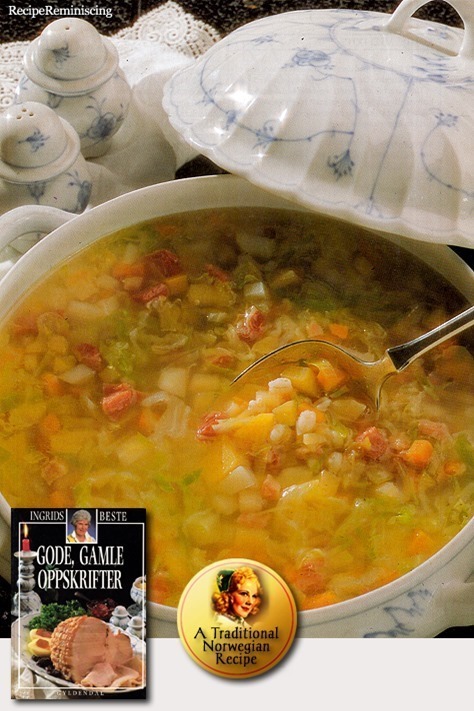 A tempting soup with plenty of rutabaga, carrot, cabbage and potatoes. And with small pieces of meat as “spice”. If you use vegetable broth instead of beef broth in this soup, it will make first-rate vegetarian food. The combination of whole barley, vegetables and potatoes is perfect. Serve it with bread and you have a full meal. If you want the soup thicker, more like a stew, you just add a little more barley and more potatoes and vegetables. Smoking is an old cooking and preserving method for meat and fish. 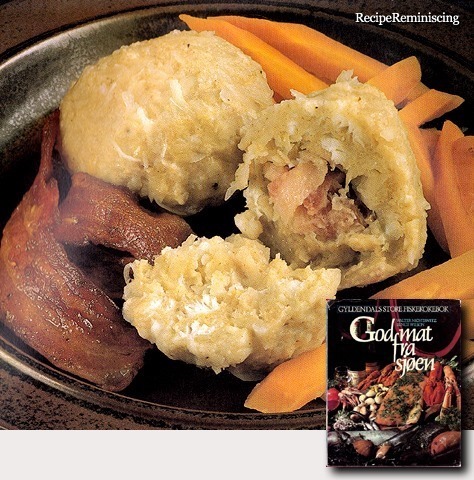 Smoked foods get a distinctive smoked flavor that many people like. While smoking was previously used as a preservation method in the old days, the preservative effect is limited, so smoking is currently used mainly to give taste and aroma to the food here in Norway. 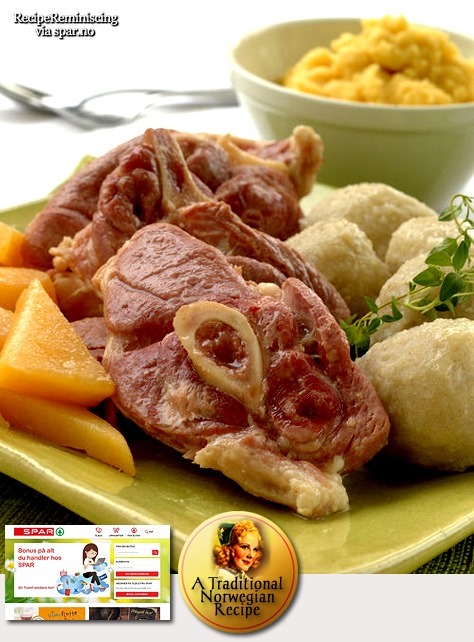 Lamb meat cooked with fresh autumn vegetables is traditional food that tastes great. Sodd is considered both everyday and party food and is really suitable for both! It’s the same if you call the grated balls Komle, Potetball or Klubb; This is cheap and delicious Norwegian traditional food. 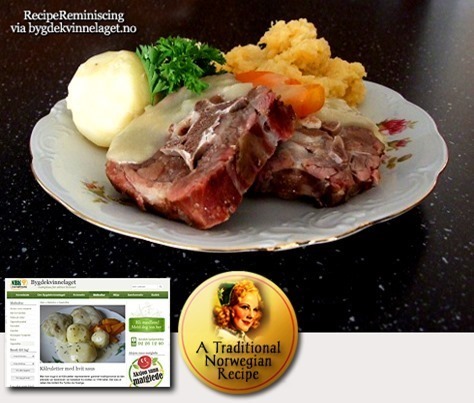 This classic Norwegian dish is typical what the English would call cottage cooking. 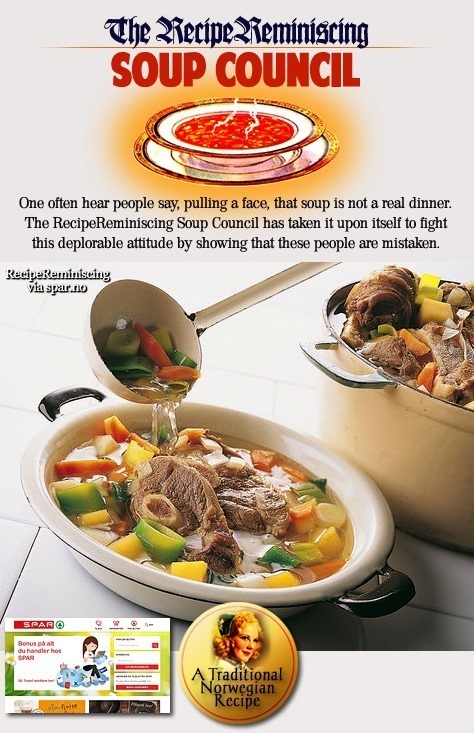 It’s made from an inexpensive but very tasty piece of meat and an inexpensive vegetable. Besides in the old days anyone with a bit of land would grow their own rutbaga. 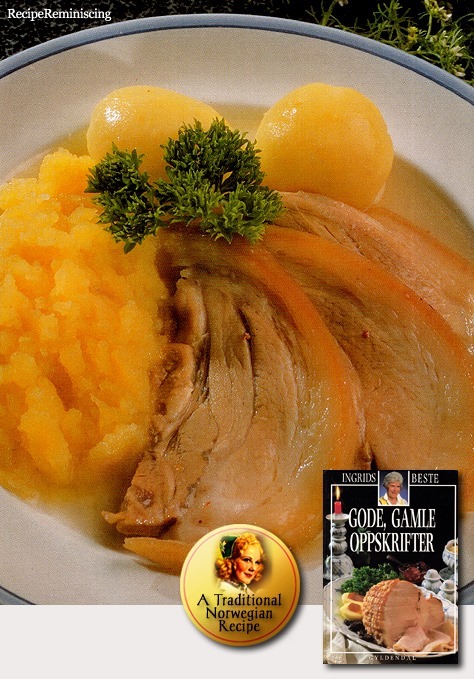 Pork knuckle is often just called knuckles in Norway. Others again call them ham knuckles. But all the names mean the same thing, the short piece between the ham and the trotters. 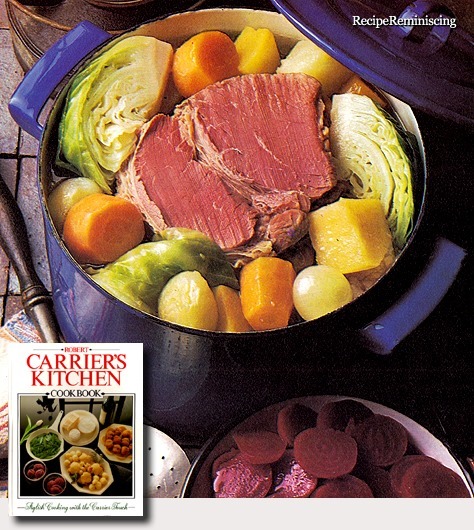 This easy-to-prepare, one-pot meal is based on freshly-cooked, home-made salt beef and cabbage plus all the root vegetables you have at hand. Serve it with freshly-cooked beetroots, sliced and sprinkled with vinegar. 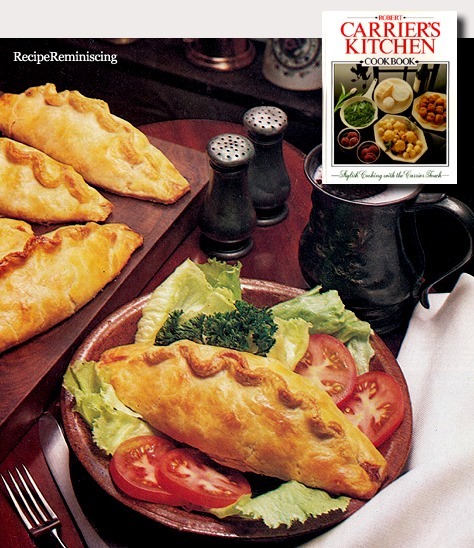 The name literally means potato pasties. The rich shortcrust pastry often contains dripping from the Sunday joint of beef or pork which makes it particularly nourishing. 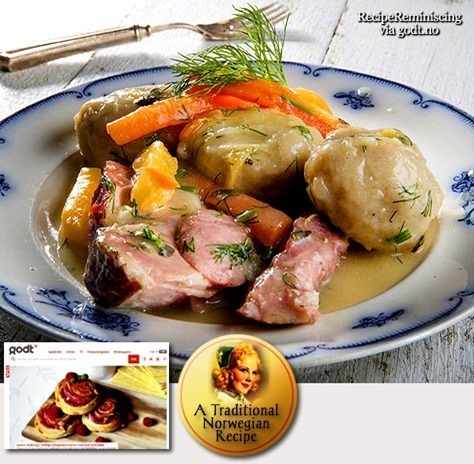 The recipe is especially useful when meat is in short supply, but you can increase the proportion of meat to make it equal to that of potato and swede. Lightly salted meat is traditional fare all across Norway. With local variations of course. Some places they use only beef, other places only lamb or pork, while other places again they use all three in combination. 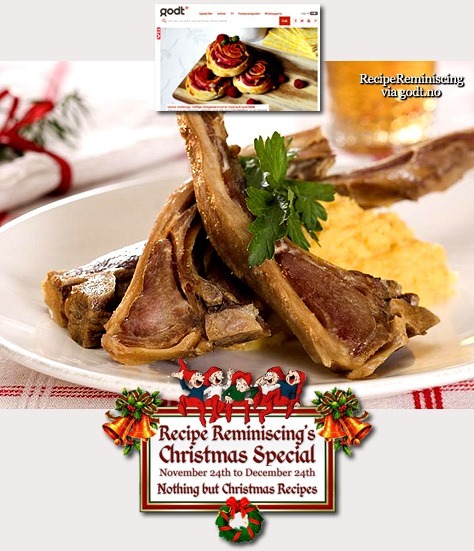 But here in Norway we do not celebrate Thanksgiving so I carry on with my Christmas Special with one of the two most popular Norwegian Christmas dinner dishes of all.